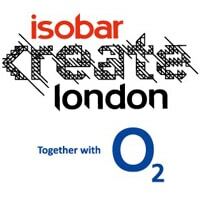 Two of the twenty teams which took part in last weekend’s Isobar Create London NFC app development event have received kick-starter funding they will be able to use to turn their apps into commercial products. Two of the teams which took part in last weekend’s Isobar Create London NFC hackathon, sponsored by O2, have been awarded kick-starter funding to help them turn their ideas into commercial products. Team Rollercoaster won funding from BlueVia, Telefónica Digital’s development platform, for an app that uses NFC to help theme park visitors pay for and secure their place in a queue for a ride, as well as offering other features to enjoy while they move along the queue. Team Blue Butterfly won £10,000 worth of assistance from Proxama for ‘Tap-to-WiFi’, an app that uses NFC to allow people to easily connect to WiFi services in bars, cafes, hotels and airports. London BBDG also won an all expenses paid trip to the BlackBerry Jam 10 conference in Orlando, Florida, for a supermarket shopping app that helps people tailor their shopping experience to their diet as well as scan products from the shelf for easy checkout. Blue Butterfly won the Leisure and Entertainment category, sponsored by Diageo. Ying Yang won the Adidas-backed Sports category with Total Event, an app that provides a new way to experience events by sharing photos and viewing them over time and location. We’re Appy won the Retail category, sponsored by Kellogg’s, for Pillit, an application that uses NFC and games mechanics to encourage people to complete their courses of medicine. New Found Comms won the Finance category, sponsored by Visa, for Street Screen, an app that enables retailers and advertisers to purchase items and view content directly from digital signage. Participants were also invited to play NFC bingo and take part in a hula hoop competition over the course of the event and won prizes including Samsung Galaxy tablets, O2 hospitality tickets to see Radiohead, Westlife and Blink 182, and a VIP trip to a Google office.